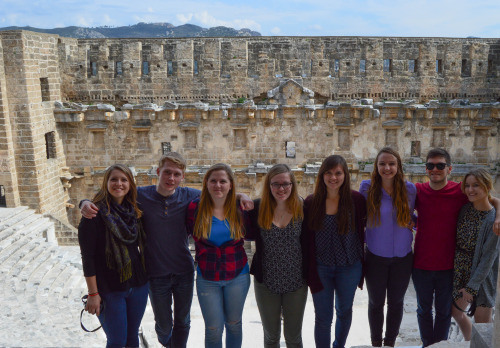 Watch Noah’s video montage of the sights seen during the NSLI-Y Turkey mid-year orientation in Antalya, a popular destination for sightseeing and the largest Turkish city on the Mediterranean coast. Below, he writes about how his experiences in Turkey have changed him and the true significance of cultural exchange. Whether it is the 14-year-old Syrian scrap metal collector, the Turkish soldiers on the train, or fishermen playing backgammon in the street, I am always willing to stop and have a discussion. Before my arrival in Turkey, I tried to avoid conversation with anyone I didn’t know, but now my desire to understand makes me want to learn Turkey’s political, cultural, and linguistic heritage, and has shown me the value of engaging with everyone I meet. So great was the deficit of my knowledge, I have taken to reading Turkish and global news articles on the region daily. I can’t seem to learn enough. When not in Turkish public school, I pursue filmmaking in the streets of Izmir, study Turkish, and apply what I’ve learned so far on my NSLI-Y Program to engage with as many people as possible. My continuing experiences have allowed me to grow as a person and renew my commitment to improving opportunity for everyone that I first felt when my family lived in Mexico years ago. I hope to build on this academic insatiability for languages and my interest in understanding people in the next stages of my education. Living with a Muslim host family, speaking a language I knew nothing about six months ago, has given me skills I will draw on to pursue a career in International Relations. Forwarding diplomacy in the 21st century requires a commitment to another country deeper than a temporary assignment or a cursory language knowledge. For mutual respect and engagement, long-term cultural immersion creates irreplaceable engagement between people. 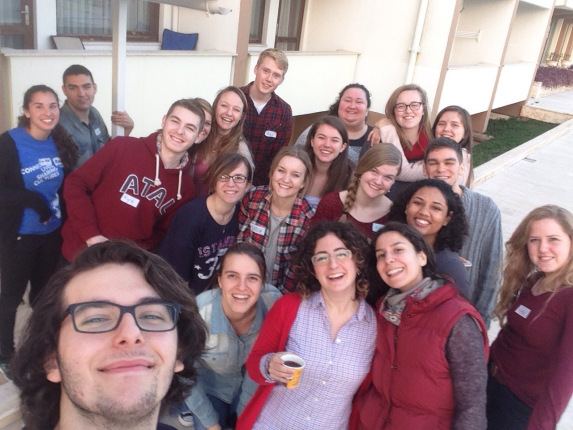 This year in Turkey, I have learned how to quickly develop lasting connections with those I meet. I’ve also learned how to discuss the United States’ and Turkey’s most sensitive policies inoffensively. Learning the language has allowed communication that results in honesty and openness. The conversations I’ve had in the streets and bazaars of Turkey have been some of the most interesting ones I have ever had. They’ve also given me a better idea of the world I live in and my place in it. By experiencing other cultures, we can better understand one another and build relationships between cultures. These relationships can be friendships that cross borders, discussions about the United States’ role in the world, or explaining to people that my life isn’t what they see about Americans on ‘Friends.’ By living in Turkey and learning the language to better engage with people, I have gained perspective into the cultural heritage that defines these two nations. International experience is vital to the global economy, the improvement of human rights, and most importantly to me: conflict resolution. Cross-cultural engagement through personal relationships has given me an immersive education in the potential of dialogue to resolve misunderstanding. I have found living abroad attunes you to the assumptions you make for lack of knowledge, and moving outside of your comfort zone permits better self-critique, an acceptance of differences as strengths, and promotes empathy for humanity. Originally published on April 9th, 2015. In 2015-2016, Noah worked at the Public Affairs Alliance of Iranian Americans (PAAIA) as a Communications Associate. The summer of 2016 he returned to Turkey as a Fulbright-Hays Fellow with the American Research Institute in Turkey. Winter semester 2016, he studied abroad at the Azerbaijani Diplomatic Academy, a branch of Azerbaijan’s Foreign Ministry. Starting in January 2017, he began working as a Turkish Linguist intern at the Institute for the Study of War. This summer he is working full time as a Turkish researcher at Kroll Associates, Inc. and as a Hertog War Studies Fellow. Noah is currently a senior at American University’s School of International Service, pursuing a major in International Studies with a minor in Communications. His focus is on U.S. Foreign policy, Turkey, and the post-Soviet space. After graduation, he plans to stay in the DC area to work for a consulting firm or a think tank and prepare for graduate school. He is also considering a Boren Fellowship in the near future.